Ms. Bailey is known for her incredible flexibility. In the air or on the ground, her performance style is a smooth serpentine flow of power, fully encapsulating both contortionist fluidity, and aerialist strength. With a body that bends in ways that will twist your mind, she loves to wow her audiences into a world of the impossible. Stephanie is currently based in San Francisco, California, where she performs as a company member and aerial lyra (hoop) soloist with The Vau de Vire Society. She began her aerial journey in San Luis Obispo in 2009, where she helped open the first and only aerial arts studio on the Central Coast of California. In February of 2015, she competed and placed 2nd runner-up in the women's lyra division of the inaugural U.S. Aerial Championships in New York. As an artist, Stephanie covers the circus spectrum, and performs in a variety of venues from family-friendly and corporate environments, to nightclubs and festivals. Performances include lyra, aerial silk, and contortion. ​Stephanie offers classes in youth and adult aerial arts, flexibility, and body weight based strength training. 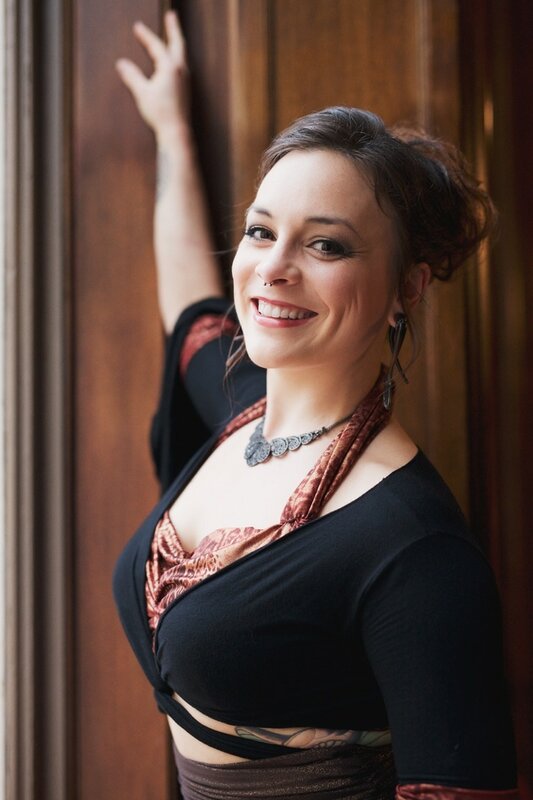 She teaches lyra, silk, and hammock in San Francisco at Aerial Artique and AcroSports as group and private lessons. You can keep up with her training and adventures through social media, as well - Facebook, Instagram, and YouTube.